AT&T says that its customers love its BOGO deals so much, that it has been expanding these deals to include more phones. The list of handsets available with a BOGO deal now include the Samsung Galaxy S7, Samsung Galaxy S7 edge, Samsung Galaxy S6, Samsung Galaxy S6 edge, Samsung Galaxy S6 edge+, Samsung Galaxy S6 Active, Samsung Galaxy Note 5, LG G5, LG V10, Microsoft Lumia 950, HTC One A9, and the Kyocera DuraForce. The process of securing your free BOGO phone works like this. 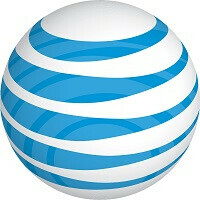 New and existing AT&T customers can purchase the first handset using any of the AT&T Next offerings. The second phone must be bought using the 30-month Next plan, which is the AT&T Next 24. At least one new line must be added, and both phones must be made part of a qualified data plan like the AT&T Unlimited Plan or a Mobile Share Value plan. After three bill cycles, you should start to see credits for the free device appear on your monthly bill. You will receive as much as $695 spread out over 30 months. That works out to a credit of $23.17 for each month. At the time of sale, you will be required to pay the appropriate taxes on the devices. The bottom line is that as long as the second handset retails for $695 or less, it is free. Otherwise, you will be responsible for the difference between the retail price and the $695 credit you are receiving. The free device doesn't have to be the same exact phone purchased, but it does have to be made by the same manufacturer. The BOGO deals expire on June 30th. This is a FANTASTIC DEAL...for AT&T. Customers? Not so much. Yeah, it's more like BOGOFSLAYHNIOLAFATY (Buy one get one free so long as you have no intention of leaving AT&T for almost three years). Or you can just pay the device off early. Right? The great thing about T-Mobile's jump, is I can make extra payments on the device to pay it off early at anytime. VZW doesn't allow this, You must go the full term of the payment schedule. However you can pay the device off early, but you have to pay it in full; which I think is BS. Basically its a contract, that you can walk away from by paying off the phone. AT&T also only gives you two options: the monthly installment or paying the full balance. Again, why I loved dealing with T-mobile. Paid off my phone in three months. I couldn't pay it off in one month and didn't want to drag it out for two years.